Now, this may be a contentious claim and might seem totally uninformed, but please hear me out for one second. Okay, so that last bullet point is actually the real reason for this claim of mine. I mean, I can’t imagine a world without Walt Disney and his creations. Can you? I once gave it a serious try, and it just left me extremely depressed. No Mickey Mouse? No Elsa, or Sofia the First? 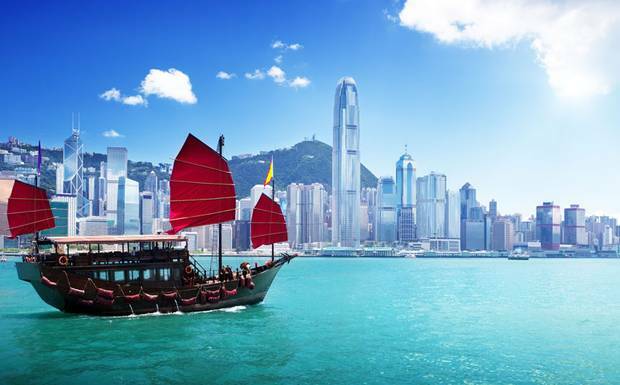 So, where are you guys headed for vacation this March? 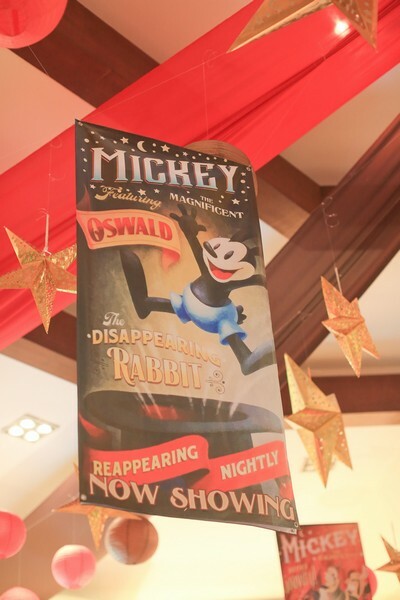 Speaking of Walt and Mickey, I wanted to show you Party Magic’s latest stab at re-creating the masterpiece that is Mickey Mouse. I had been meaning to post these photos for some time now, but my schedule has been cruel and I’ve been handcuffed to all sorts of work. 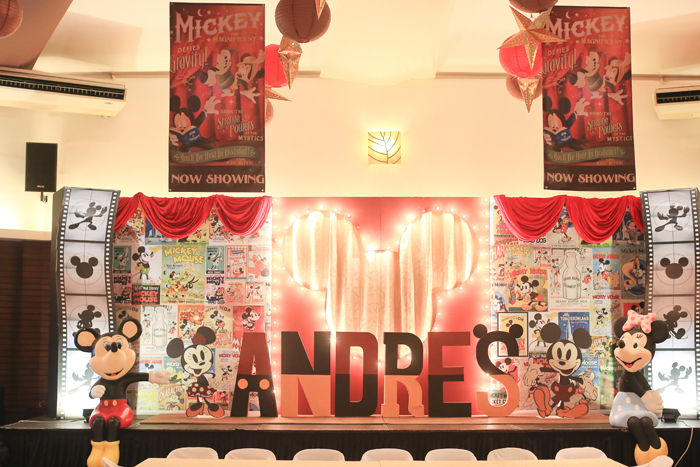 Here is Andres’ wonderful Vintage Mickey party! Andres’ party though, was a real mountain to execute, mostly because of the venue – The Silk Pavillon at Blue Leaf McKinley. 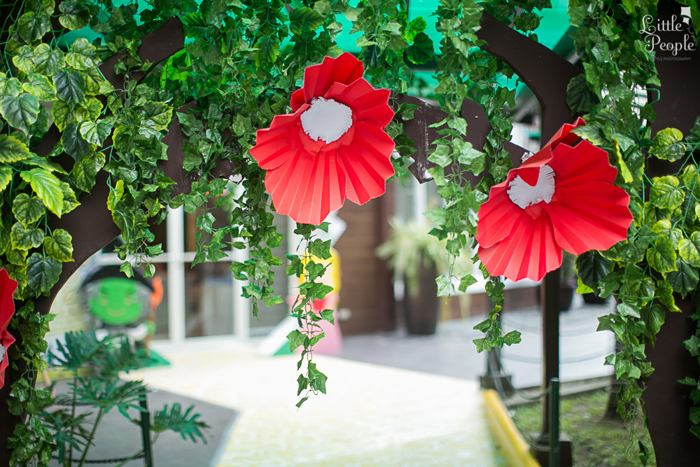 For those who are researching for good venues for your parties, try checking out my other blog post, Top 10 Kiddie Party Venues in Metro Manila. This venue has it all – tasteful interior, and of course, an extremely high ceiling! I chose to do a scattering of swags, lanterns, gold stars, and some honeycomb lanterns. All of this combined provided that sort of vintage-y, “red carpet” glam look. Oh and of course, let’s not forget my favorite vintage Mickey movie posters! The stage is an awesome sight to behold. Party Magic now has a new venture: a singing entertainment act! I am excited to show you my best idea for a boy and girl party theme for 2016 – read on to find out! Last week saw our yearly Company Party, and it came with a big revelation. Upon much chiding, Luisa, our beloved coordinator/event stylist extraordinaire, took to the microphone and belted out a portion of I Can’t Make You Love Me. Luisa is quite good. No, correction. She is really good, she could give Beyonce a run for her money. I am seriously considering offering myself as her talent manager (upon proper negotiation of management fees of course!). Who knew that Party Magic’s talent runs so deep? Even as I write this, my husband is literally jumping up and down his seat. You see, he is one of the millions (and millions) of die-hard male fans whose ultimate wish was to own a real-to-life lightsaber. He is such a fan that, he watched Star Wars: The Force Awakens twice. The first time, he couldn’t wait for a schedule of mine to free up, so he just watched a last full show, all by his lonesome. Nerd much? 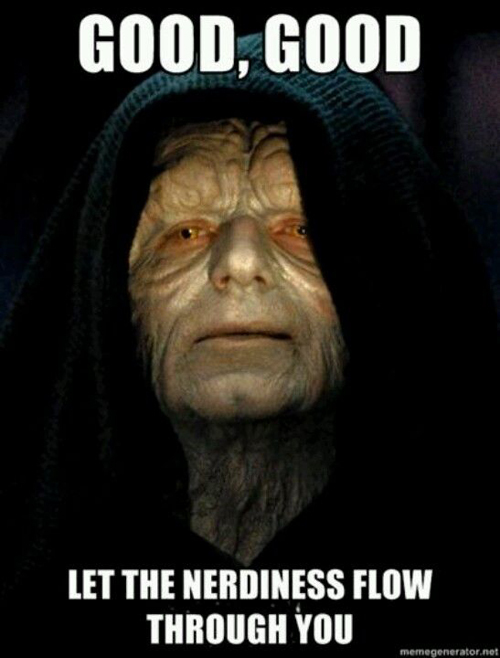 In case anyone was wondering, that creepy dude in the hoodie over there is Emperor Palpatine, or Darth Sidious. See? I’ve been paying attention to my husband’s rantings! Technically speaking, this theme will be a real pain to execute. Simply because it contains so many memorable elements that are literally large in size and scope. Think about Darth Vader, Stormtroopers, the Death Star, the X-Wing, the Millennium Falcon – all of these elements cannot be done with just the usual craftsy items and techniques. So as said, extremely hard to execute. Which is why it will be absolutely fun to do. What do you think? 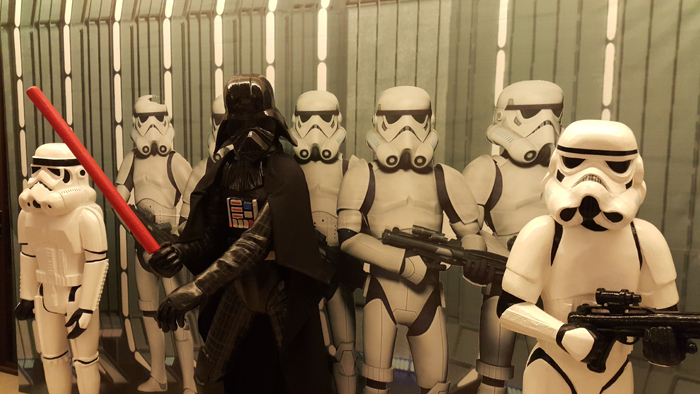 I cannot wait to show you what more we have planned for our Star Wars parties! If you only have one chance to watch a play or musical, you had better watch WICKED. 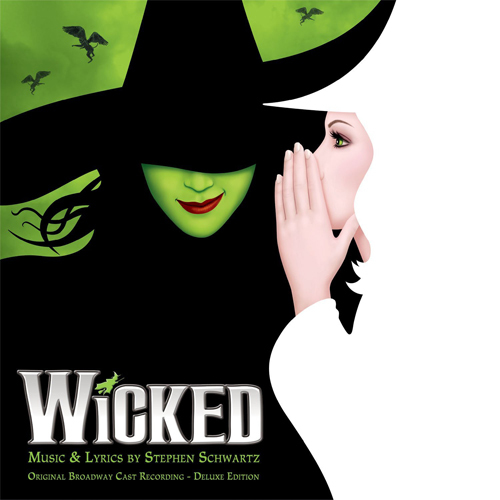 It is my most favorite musical of all time because of its wonderful tunes (Popular, I’m Not That Girl, For Good, The Wizard and I, and of course, Defying Gravity!) PLUS its most unique storyline. Gregory Maguire is a genius for turning the tables on accepted lore and humanizing The Wicked Witch of the West. Now this has the makings of a great theme. One can go about it in two ways – either as The Wizard of Oz theme with Dorothy in the spotlight, or as a Wicked theme, with all its nuances. Think about the possibilities. 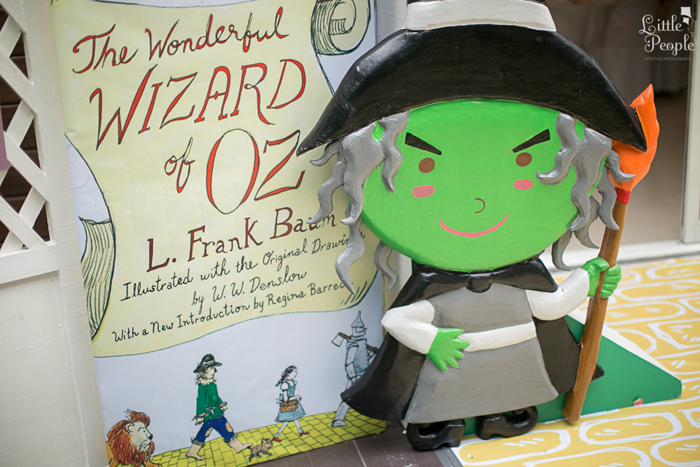 We can make a yellow brick road, Elphaba’s school of magic, the Wizard of Oz’s throne, Emerald City, and many more. Once again – if I do get the opportunity to create parties based on these two themes, I will be truly excited to share the photos with you!